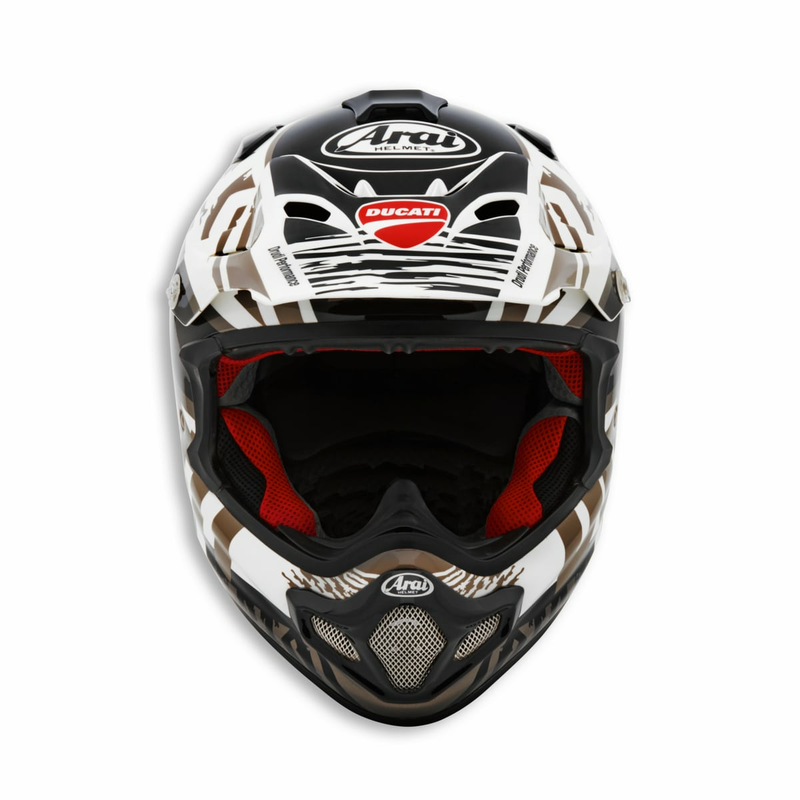 The Explorer V2 helmet, created in collaboration with Arai, is perfect for Enduro and off-road use. The lightweight and durable shell in Complex Laminate is equipped with an air vent on the chin and an efficient venting system with air vents that can be easily removed for cleaning. The Dry-Cool® inner liner, completely removable and washable, remains fresh and dry even on the longest and most eventful of rides. The helmet is equipped with guides to firmly secure the strap of the Explorer goggles, even during the most extreme use. 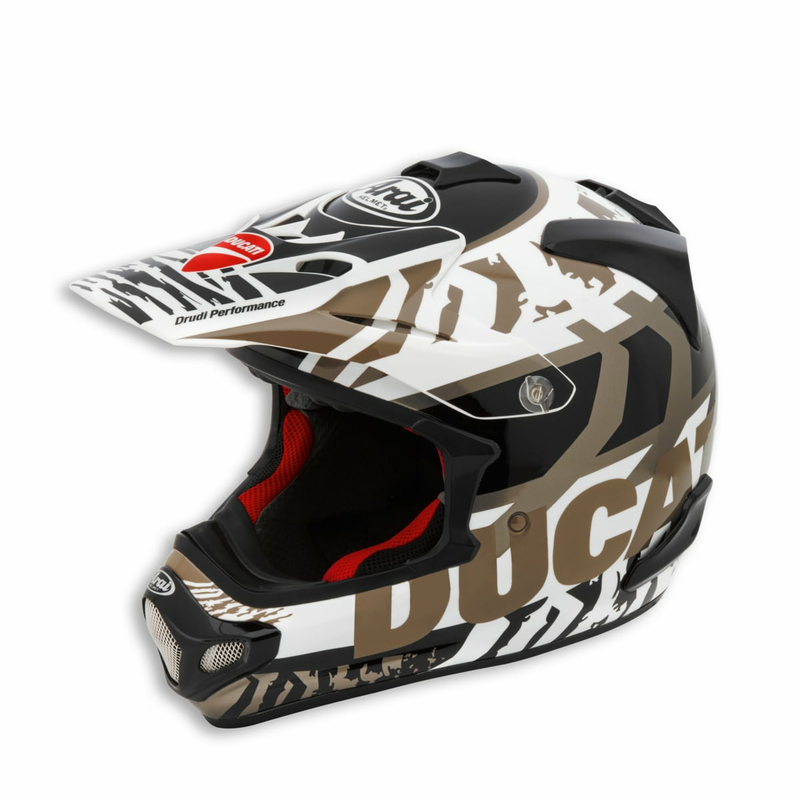 The wild nature of this helmet is enhanced by the design that perfectly matches the Atacama Enduro outfit. Ventilation. Easy-to-clean diffusers create a strong Venturi vacuum at the rear. Centre top vent for increased airflow. Under-peak air intake collects and directs cool air into the helmet. 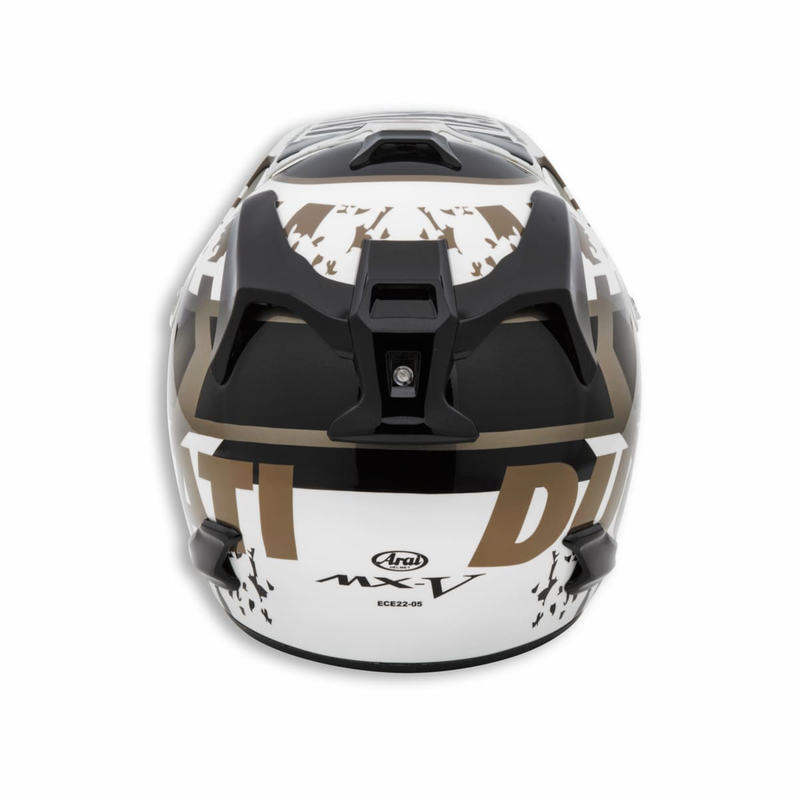 Inner chin vent shutter prevents debris coming into the helmet in dusty riding conditions. Goggle ventilation and lower side vents. Dirt removal. The elongated and rounded peak helps protect the rider from mud or other objects. The going-through vent ducts and removable rear vent also allow you to remove dirt easily.